That was some Tasty Ramen!! I sure hope those Hapa chaps come back to Heart someday soon! oooh – I so wish one of these bowls were sitting in front of me right now. 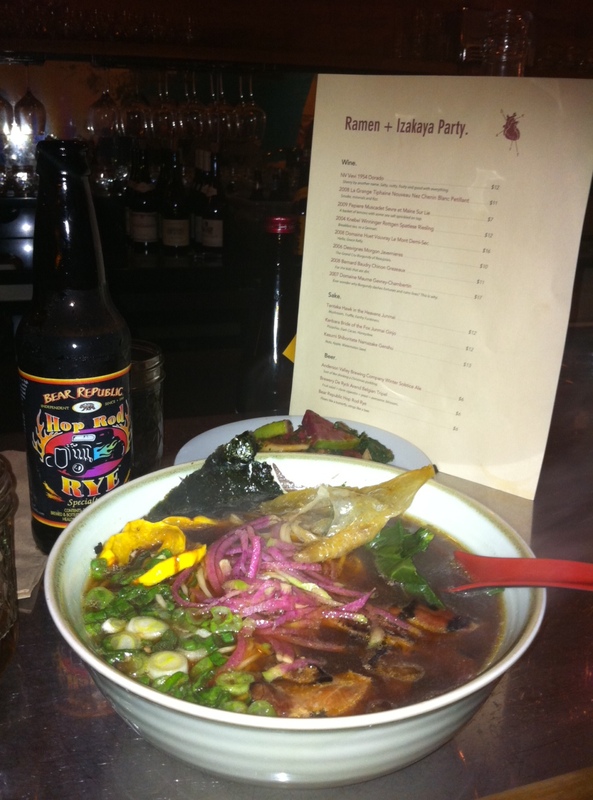 I’m all about ramen in the mission! I know this is past the microhood, but I hear that Corner on 18th and mission has a pop-up ramen night on Thursday nights. Actually scratch what I just said about ramen at Corner. Just did a little fact-checking of myself, and it turns out Corner is closed! But they hinted that they might be re-opening under a new premise. So that’s a just-outside-the-microhood thing to look out for. Ah, Corner. I went there shortly after they opened and it was a complete disaster. After witnessing some poor sod getting irate with the meagre staff over the 1.5 hour wait for his food we decided to hightail it for somewhere more efficient. We never returned.